Most amateurs cringe a bit when they see their ball heading for a greenside bunker. For the average golfer, a greenside bunker presents the potential to wreck a round faster than any other shot on the course. Amateurs see how effortless the professionals make bunker shots appear, yet struggle to reproduce that magic themselves. Why is that? My theory is that bunker play is one of the aspects of the game that simply isn’t practiced. I don’t know about you, but I only know of one driving range I’ve been to that has greenside bunkers to practice out of and you have to be a premium member of that range in order to use them. If you’re not a member at a nice private course, you likely don’t ever practice hitting out of bunkers. I am a member at a nice private club and we don’t have a single bunker to practice out of. What can a golfer do to prepare for those inevitable times when they find themselves in a greenside bunker? The Pocket Bunker is a new product that allows you to practice your bunker play from grass. I typically hit up the local muni practice green to work on my chipping and putting during my lunch breaks. Over the last week or so, I’ve packed the Pocket Bunker in my bag to sprinkle some bunker practice in while working on my short game. Does It Really Simulate a Bunker Shot? I believe it does. As much as can be expected while hitting off of grass anyway. I’m able to use the Pocket Bunker exactly like I would if I were hitting a real ball out of a greenside bunker. Open the club face a bit, lower the handle and swing. The Pocket Bunker responds just like a normal ball would assuming you hit it correctly out of the bunker, i.e., sand first contact. I think a lot of times, people tense up when they get into a greenside bunker and there’s really no need to. The Pocket Bunker should ease the fear people have with greenside bunkers as they aren’t too difficult to escape from if you know how. 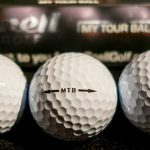 That’s not to say you’ll have a tour quality bunker game after using the Pocket Bunker, but at least you should find yourself somewhere on a green surface if you take the same technique to the bunker that you use with the Pocket Bunker. The Pocket Bunker is not meant to simulate fairway bunkers. You’re on your own with figuring those things out. If you find the secret, be sure to come back and let us know! I’ve now used the Pocket Bunker off an on for a couple weeks. I’ve also let a number of friends take some swipes at it as well and it’s holding up great. I was worried one of the legs might eventually break off but so far, there’s no signs of wear and nothing appears to be on the verge of wearing out. 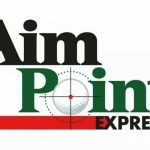 The convenience factor is huge for me and I assume most golfers. A training aid isn’t much use to me if I can’t stuff it in my bag easily and take it with me. I don’t enjoy packing an additional duffle bag of equipment to the range or practice green. The Pocket Bunker is a little larger than a golf ball, but it easily fits into almost any pocket on my golf bag. Pricing for the Pocket Bunker is set at $29.99 for a 3-pack. I think the price is fair and align with what I would expect to pay for a training aid like this. One might ask why you need three? Well… that’s easy. Who wants to chase a single Pocket Bunker back and forth while you practice? Get three, hit three and then go hit them again. Makes practicing a bit easier. You could also split them with your golfing buddies or even keep one in the golf bag, the office and at home. You never know when an opportunity will arise to work on your golf game. Better to be safe than sorry. 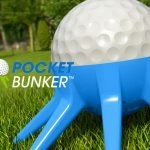 Head on over to Indiegogo and get your early-bird pricing for your Pocket Bunker. Do You Work at a Course or Driving Range? 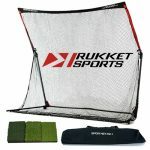 The folks at Pocket Bunker have also shared that their product can be easily picked up by driving range ball collectors, which is nice! If you’re a golf professional, it would be a great idea to get some Pocket Bunkers in bulk and have them laying around the practice area for your students.